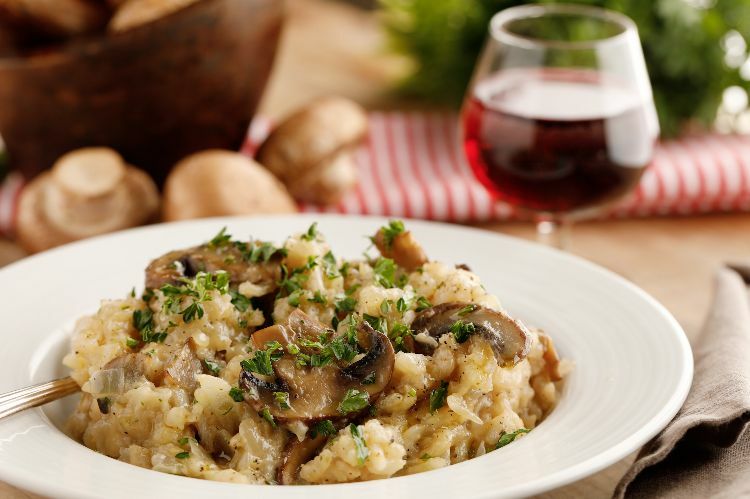 Mushrooms might not be anything new to risotto, but cooking the two together in a slow cooker is. When you use the slow cooker for this dish, as in the recipe that follows, you don't have to worry about adding liquid in small amounts or constantly stirring. Just add in all the ingredients and come back to a side dish, or even an entire meal, that's as comforting as it is delicious. This dish couldn't be simpler. While it is recommended to brown the mushrooms slightly, you don't even have to do that if you want to keep it as easy as possible. While only one type of mushroom is used here, feel free to use whatever type you like. Any mushroom will add to the heartiness and beefiness of this dish, and a mix could really keep things interesting. Whatever kind of mushroom you do use, this is one dish the entire family will love! Heat the butter in a frying pan set over medium heat. Add the onion and mushrooms, then saute until the mushrooms have browned slightly and the onions are soft and translucent, about 7 minutes. Add the garlic to the mushroom mixture and saute for another 30 seconds. 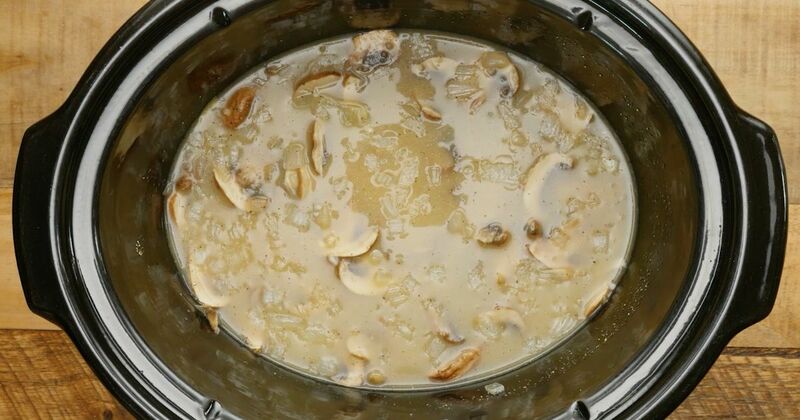 Empty the contents of the frying pan into a 6-quart slow cooker. Add the Arborio rice, chicken stock, salt, and pepper to the slow cooker. Stir and mix well. Place lid on slow cooker and cook on high for 2 hours. Add the Parmesan cheese to the slow cooker and stir to incorporate.